My Maiden journey to Dagana held a mythical surprise for me, which ironically emerged from an american friend. I was invited to Camp RUF in Dagana by my friend and founder of the camp, Tenzin Dorji, as photographer. Though it was a privilege, I had to decide to leave the camp early because I took along a foreigner friend who turned out to be little too 'underprepared' for the kind of place the camp was setup in. He was ready to leave on his own but I was quite unsure about how he would make it back given the remoteness of where we were and rarity of transportation services. It was the night before we left that I shared about my plan to visit Daga Dzong on our way back, when Julie, an american lady teaching in Thimphu and facilitating at the camp, asked if I knew about the massive Buffalo Horn treasure of the dzong. It's ironic yet very heartening to learn about the mythical treasure of Daga Dzong from a foreigner. How massive can a buffalo horn be? I was skeptical yet curious, and when I heard the horn stands taller than me I was convinced that I wouldn't leave without seeing it of myself. Deep inside I wasn't ready to believe the myth. I suddenly went around seeking confirmations from local teachers, and surprisingly many had just heard about it. There are a few of them who claimed to have seen it and they description couldn't logically convinced me. They say it's over 5 feet long, and I can't imagine a buffalo that carried a pair of 5 feet long horns. I assumed that it possibly just a myth and whatever was there in Daga Dzong must be something else. 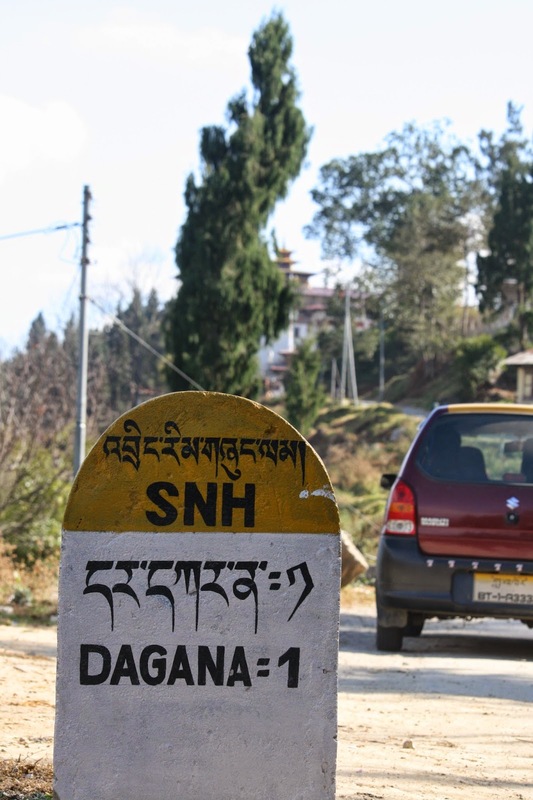 But I was shivering with excitement when I finally took that 43 km journey to Daga Dzong from Dagapela after declining a comfortable free ride to Thimphu. The middle aged cab driver was a local who was one among the many people who heard about it but haven't seen it. It was only getting interesting. Finally I walked into the central tower of Daga Dzong with my friend Hemant, and there we were face to face with the Buffalo Horn. I stood there frozen at the sight of it. 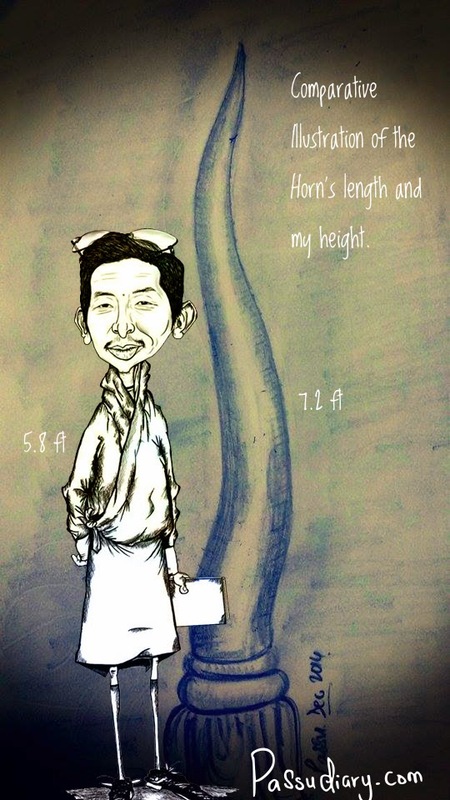 It's really a horn and it's even longer than I ever could have imagined. It's officially 7.2 feet. I touched it, it's real. How could it be possible? Illustration of the Horn, since camera wasn't allowed inside.